Gorgeous flower. My favorite color! 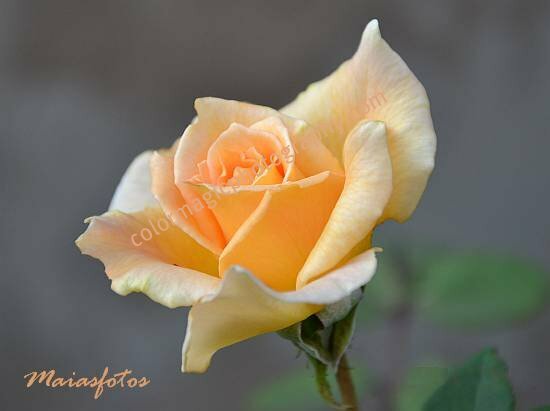 Wow .... the rose is sooooo beautiful, a great macro ..
Love the pale orange color. Great macro shot. Love the colour. Your favorite flower that you've captured so beautifully, Maia. It is exquisite. Maia, your rose is so perfect! I love the color and wish I had one like it in my garden. Around here the nurseries seem to carry only red roses, maybe a pink or lavender, very few such a soft apricot color. Of course I don't delete is Sara, this is a special case. I've posted your link from my dashboard but I can't find the reason why it happens. No offense guys and gals, I don't comment on Disqus forms, sorry. Answer to questions on my contact form. Backlink checker is activated on Inlinks. 1. If you have no backlink on your post you can't upload. It's that simple, no rocket science. 2. You can insert only a post page, not and archive. Blogger users know that. 3. I really don't care what are you doing on other blogs and memes. If you think your post is OKAY but you still can't upload, than please ask, so I can notify the staff at Inlinkz. Mais um fim de semana florido e perfumado! Estaos na espectativa da chegada da primavera. O nosso mundo está se tornanando mais colorido e perfumado. Um ótimo dia a todos e a você Maria que nos dá a oportunidade de conhecermos outras flores e de compartilharmos a nossa. A sua rosa é linda, delicada, suave.Abraços a todos. A single yellow rose...thank you for the beauty you share with us today. I'm so glad you want not only flowers as I've got lots and lots of butterflies in my posts lately, and am sharing 2 posts this week. Love the color and clarity of that rose!!!! What a beautiful rose, Maia! It must smell heavenly too. The rose is beautiful Maia. It's hard to believe summer is almost over and autumn is on it's way. I'm taking the weekend off from blogging and didn't do a post for you this week but I did want to stop by for a visit. It's like apricot silk! Such a lovely shot.